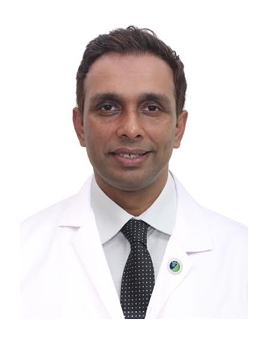 Dr. Biju Pankappilly is a specialist Orthopedic Surgeon with several years of professional experience in his field. He worked at many Hospitals where he gained a valuable expertise in the treatment of shoulder injuries. Additionally, he worked as a consultant in the division of joint replacements and sports injuries at Lakeshore Hospital and at the Research Center. Dr. Pankappilly special interest include primary and revision joint replacement surgeries, arthroscopic surgeries, sports injuries, and treatment of pathologies. Fellowship in Joint Replacements & Arthroscopy from Amrita Institute of Medical Sciences, India.